About time, and may the most cost-effective and air-to-air capable platform (the Canadian Government still maintains the pretence that airspace protection is the primary mission, rather than bombing small countries) win. That isn’t the F-35, but it is hard to choose among the others. The Gripen is an economical platform in every respect, designed for cold weather and very capable. The Typhoon is probably the best air-to-air platform in the West short of the F-22, and investment by Canada could bring a lot of long-planned upgrades, including AESA radar, for which Europe would thank us. Rafale is a good all-round platform but problematic in terms of weapons compatibility. The Super Hornet is an aerodynamically dated airframe but with excellent electronics and support, is relatively cheap and reliable, and offers the possibility of conversion to the electronic warfare “Growler” version, a very enticing capability as Australia has discovered. 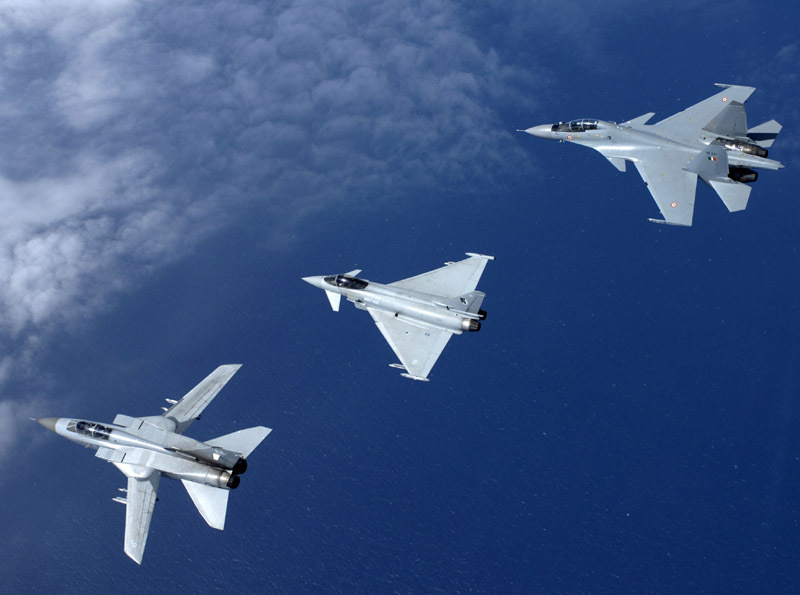 If the contract is fought with an eye toward industrial offsets, France and Sweden have both proven willing to go that route, and it will unfortunately be likely to rule out the Eurofighter, whose procurement process is already ridiculously complex. For years, the USAF has resisted any notion of a Generation 4.5 low-end fighter solution in an attempt to frame first the F-22 and later the F-35 as all-or-nothing options. Now, with the F-22 out of production and costs of the F-35 program rising, it’s time to stop and re-evaluate. 2012 was a year of bad news for USAF fighter programs. 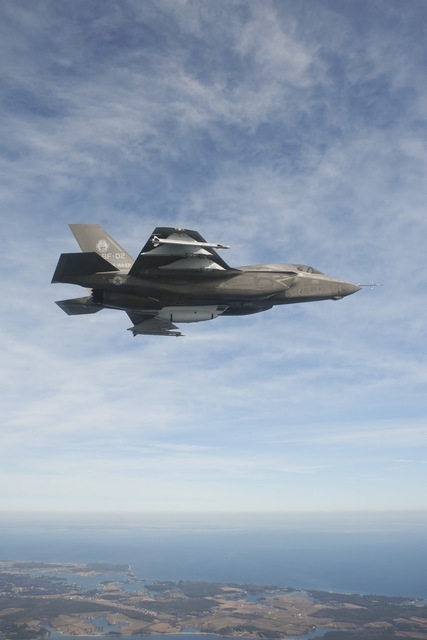 Costs of the F-35 Joint Strike Fighter program have continued to mount, orders from a number of international partners called into question, and its capabilities brought into severe scrutiny. Meanwhile, with average aircraft age in the USAF pushing 25, the service is scrambling to extend the life of its F-15 fleet. The future of the fighter force is definitely in the balance, with ageing aircraft with high maintenance and cost-of-ownership burdens being replaced by stealth aircraft with high maintenance and cost of ownership burdens. Air Forces around the world are recapitalising much more rapidly and economically, with so-called Generation 4.5 fighters. While lacking the stealth characteristics of the Generation 5 Raptor, Gen 4.5 offers a number of advantages over USAF legacy platforms, from reduced radar cross section to Infrared Search and Track systems which can defeat stealth in some circumstances to improved power, manoeuvrability and aerodynamic characteristics. Only one of these capabilities, Active Electronically Scanned (AESA) radar, is being widely incorporated into the USAF fleet. It is a tremendous capability boost- but still a limited one. None of this is to say that the F-15 and F-16 are not still capable designs which, with the addition of AESA radars, Infrared Search and Track systems etc. can serve ably for many more years. The issues are airframe life, force numbers and the cost of ownership associated with old aircraft. Attempting to recapitalise the entire legacy fighter force with Generation 5 aircraft is a non-starter, if only because the costs would be absolutely crippling, and that burden would continue throughout the service life of the aircraft. Stealth aircraft generally require a great deal of maintenance. A non-stealth aircraft is much cheaper to own than a stealth aircraft. The way to alleviate the cost burden in the long term is to select a Generation 4.5 design to recapitalise a substantial part of the fighter force. The Generation 4.5 characteristics that would give such a fleet its edge, not only over the existing non-stealth fighter force, but over most of the 4.5 fleets out there, include AESA radar, IRST systems, aerodynamic upgrades including canards and thrust vectoring, as well as the little things of combat, including decoys, jamming and tactical pods and especially helmet-mounted sighting and display systems. What the US, with its technological base and economies of scale, can do that no other nation can is to put all of these capabilities together on the same aircraft and buy them in quantity. I repeat, no other nation has a force with all of these capabilities. The cheapest option would be to take modernised versions of existing US designs, such as the Super Hornet or F-16, adding AESA radar where not already incorporated, ditto IRST, helmet-mounted sights (a key feature MIA from the Raptor program, and even the F-35 is experiencing trouble here), and preferably canards and thrust vectoring. (The latter is a simple matter given that all existing US fighter designs have been tested with thrust vectoring.) The problem with all of the existing designs is that aerodynamically and in terms of signature reduction, they remain behind the curve for Generation 4.5. The USAF would do well to finally acknowledge that, as far as their non-stealth fleet is concerned, technological developments (the proliferation of stealth technology) increasing militate towards rather than away from visual range engagements, and therefore the necessity of excellent dogfighting capability. Rules of Engagement, of course, have always pushed in the same direction. A better option altogether would be to license produce a modified version of an existing European design such as the Saab Gripen or the Eurofighter, thus gaining the benefits of a later generation of airframe incorporating the lessons of the teen series fighters without having to foot the development cost. At least one USAF general has publicly admitted that Eurofighter is a better air-to-air platform than any non-stealth fighter in the US inventory. This would, in effect, be a subsidy of the fighter chosen, which would allow unit costs to come down and improvements postponed or cancelled due to cost to be made, permitting European allies to resume stalled fighter purchases. This is objectively the preferable option, but is unlikely to happen for political reasons, defence funding in the US being even more a function of pork-barrel politics than it is in most Western countries. The problem is this: no existing US airframe is completely suitable to become the low-end fighter of choice beyond 2020. Boeing can call Silent Eagle and Super Hornet “Generation 4.5” all it wants, but electronic improvements notwithstanding, they are aerodynamically almost forty years behind the times. International customers such as India, which have experience of the latest Russian offerings, have been blunt about these shortcomings in recent competitions. In a world of Su-30s and J-10s, the US cannot maintain its edge with such aircraft. A third option might be something like the F-16XL, which added a lengthened fuselage and cranked delta wing for significantly improved performance. Such a redesign, while slightly more expensive than using an existing airframe, would allow structural changes to be made for improved performance in all parameters. The danger here is feature creep and cost inflation, which would have to be strictly managed, much the way the Navy did with the Super Hornet. The US already has or is developing every single technology that needs to go into these aircraft. It would have to be made abundantly clear to all concerned that this is simply an exercise in integration, not a re-invention of the wheel. Whatever option were chosen, it would be well for the USAF to consider it quickly. With spiralling costs, extended timescales and international uncertainty around the F-35 (and frankly, questionable capabilities), a heavily circumscribed Raptor fleet and the emergence of large modern air forces in Asia, it would be helpful if the USAF could set itself up for a procurement win for once. The argument will be made that any attempt to procure a second fighter would upset the F-35 applecart, raising unit costs even higher and forcing some countries to back out. I think I’ll leave it to F-16 designer Pierre Spey to explain the many ways in which this would be a good thing for everyone involved.